Exports to Africa have already commenced. Kamaz, a leading Russian commercial vehicle brand, started its Indian operations in 2010 with an assembly facility in Hosur, Tamil Nadu, through a partnership with the Vectra Group. Kamaz Trucks bought out of its partnership with Vectra earlier this year to make its Indian subsidiary wholly owned. The Russian brand's four years of existence in India has been marred by several issues not the least of which is the ending of partnership with the Vectra Group. 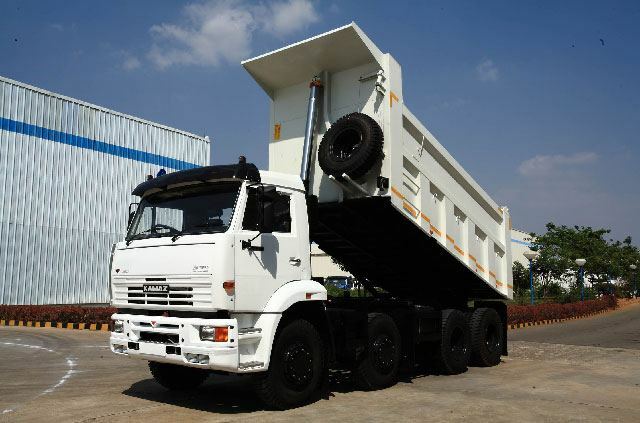 Earlier this year, Indian Autos Blog uncovered that Kamaz has joined hands with the Indian auto component major Omax Auto to assemble its trucks. The latest news from Autostat, quoting Kamaz Russia's CEO Mr. Sergey Kogogin, suggests that Kamaz has already started shipping its India-built trucks to African countries and new export markets like Bangladesh and Myanmar would join that list. While Kamaz is yet to officially launch its products in India, the top official added that during FY2013, its Indian facility built 152 trucks. In FY14, the company has built 55 units so far and is confident about reaching the 150 unit mark by the end of this fiscal. The firm has shipped its entire inventory overseas. 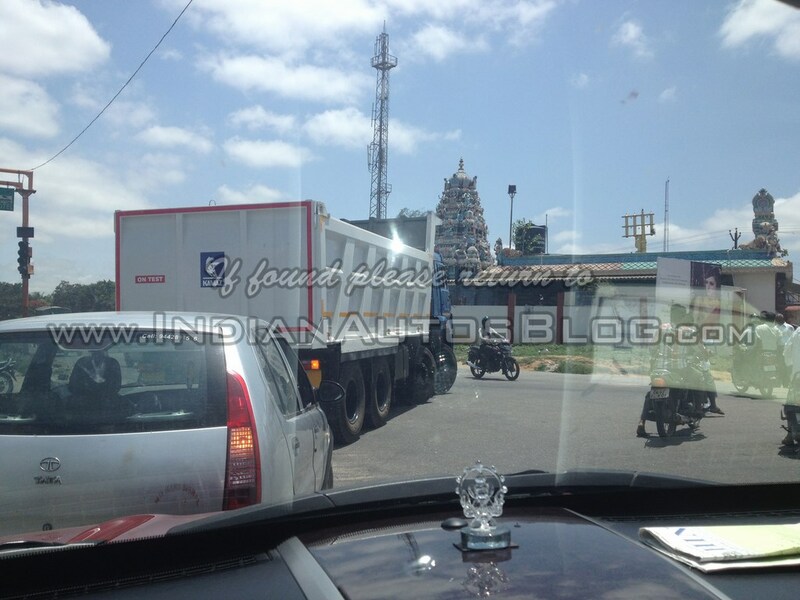 The Kamaz 6540 tipper has been spotted testing in Hosur, Tamil Nadu by IAB reader Mr. Aravinth. Mr. Kogogin stated that Kamaz is not looking at big volumes from its Indian operations. The Russian CV maker is not adopting a CKD route but instead has managed to localize 80% of the components in India. Kamaz could be waiting to sort out its administrative and production setbacks that arouse due to the partnership debacle before making amends. The high level of localization indicates that the truck maker is betting big on India as an export hub, and the local launch of its products can be expected next year. Initially, Kamaz is likely to test the market by entering a niche product segment like mining tippers. The 6540 tipper is already being made in India as confirmed by an earlier spotting.